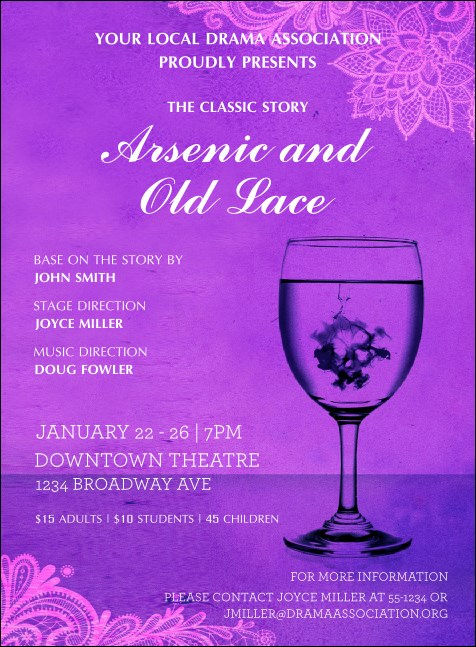 Hidden familial homicides come to light when you send the Arsenic & Old Lace Invitation! The classic American black comedy is treated with elegance on this invitation. A violet backdrop and pink lace accents show off a glass filling with a murderous brew, and 18 text fields. Get more attention for your play with the right invitation from TicketRiver.com.au!